Sufferfest The Rookie uses on the bike footage collected by Giant-Shimano at the Tour de Suisse and the Tour of California to give you an immersive experience. You can feel what it would be like to race in the pro pelaton all from the comfort of your home trainer, while of course pounding out a truly torturous interval session. While it seems like a film, taking you from joining the team at training camp all the way to victory over Mark Cavendish at the Tour of California, The Rookie is a true workout. The video is based around three, ten minute race simulation efforts. In order to simulate a race, there are fluctuations in the prescribed effort throughout the ten minutes but they eventually ramp up at the end in a sprint finish. Something I found really cool was the inclusion of instructions to slow into corners and accelerate out of them, an important feature of most races. I think it would be a great idea if the folks at The Sufferfest took this and expanded on it to make a crit training video that includes lots of these slow in to corners and accelerate out of them segments. I did the true Sufflandrian thing and put “The Rookie” at the tail end of a double feature with “The Elements of Style” taking the lead. I left it all on the trainer and plenty in my towel and shirt. Back-to-back it was tough, but on its own it is still going to be a hard workout. Those ten minute intervals are long and by the end its hard to find it in your legs to sprint with the best. But hey, its a race simulation, right? That’s what happens when you pin a number on. I really enjoyed the Sufferfest The Rookie, probably because it is similar to my favorite Sufferfest video, “A Very Dark Place.” It makes you dig deep and really lets you know what type of rider you are. I am not a sprinter, I learned that, but I can handle the long, drawn out efforts. 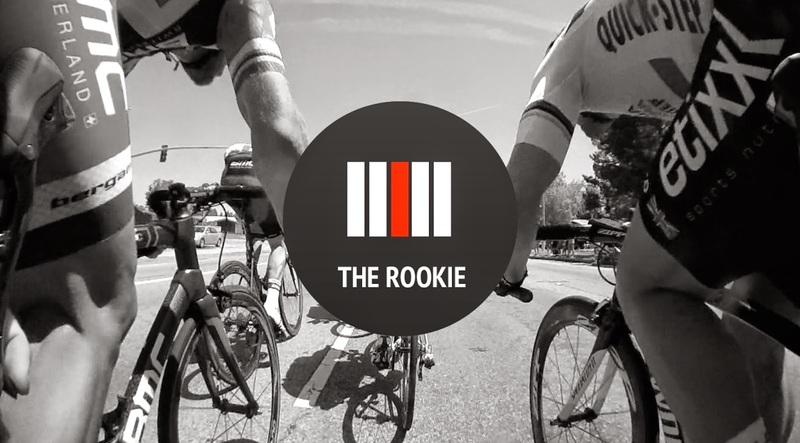 Overall, The Rookie another great video from The Sufferfest and will definitely have a spot in my winter play list. The footage is truly amazing. The increasingly popular inclusion of on bike cameras in the pro pelaton has given us a truly terrifying, yet awe inspiring, look inside what it take to compete at the top level. On bike footage and The Sufferfest are the perfect combination, cause it gives us something to strive for and the tools to get there. Looking for more from The Sufferfest? Check out my review of Nine Hammers, Do As You’re Told and The Elements of Style. Like what you see here and would like to see more? If you click on the banner below, I will receive a portion of all video purchases from The Sufferfest. Keep on top of the latest from The Wannabe Racer by subscribing to get email updates.